Same signature Karma scent, orange, pine, patchouli, but in an absolutely STUNNING new style. 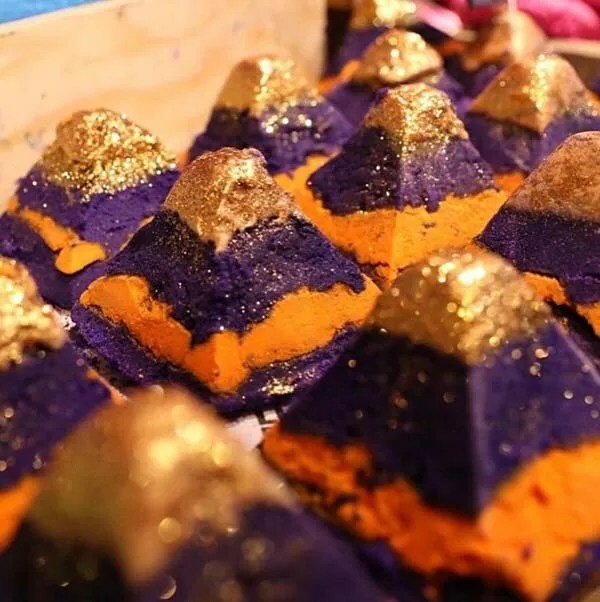 Of all the new lush products this is my favorite looks-wise. I cannot stop staring at it. My three colors are green, orange and purple, so this bar has two of my favorite colors. Not the only reason i like it though. Dusky oranges, patchouli and pine. It smells like the classic “head shop”. Kind of an incense-y hippy-ish vibe. I happen to love oranges in anything, but this is so different because it’s not a sweet orange. Not a desserty or ‘yummy’ orange. Nor is it citrussy in the classic sense. A most different fragrance; earthy. I always try keep a few of these around.